Jamón de bellota Joselito, fabricado en Guijuelo. Los cerdos de Joselito disfrutan de un hábitat entre alcornoques y encinas que favorece tanto su alimentación como su forma física, lo que se traduce en un producto de altísima calidad.? 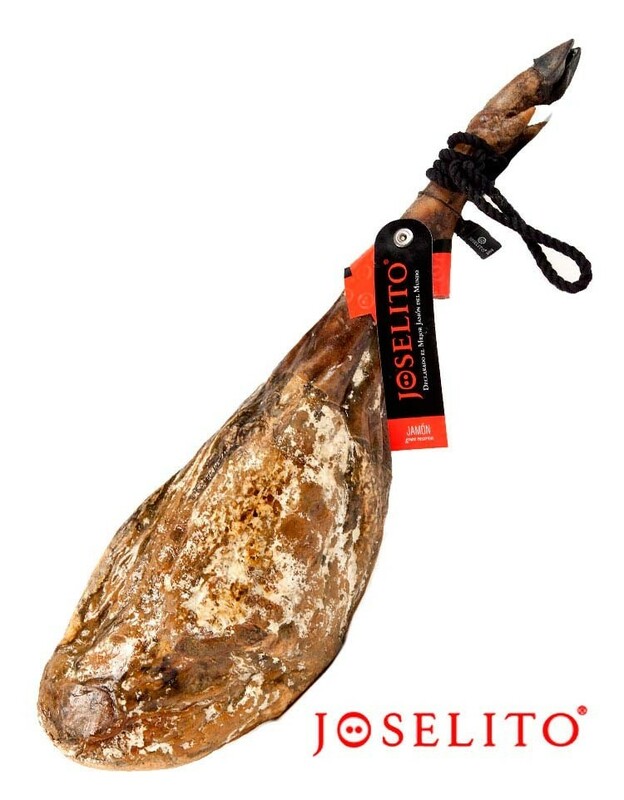 El jamón de Joselito es 100% natural, no contiene ni gluten ni lactosa, y además está libre de conservantes y colorantes. By buying this product you can collect up to 39 loyalty points. Your cart will total 39 loyalty points that can be converted into a voucher of 19,50 €. Discover the unique flavor of Joselito bellota ham, made in Guijuelo. The pork has been bred and fed between oaks and cork oaks, a natural environment that favors its feeding and health. They get a craft product without lactose or gluten, through a traditional process of salting, and without adding preservatives or dyes. The hams are cured in underground natural cellars that keep it in the optimal conditions of humidity and temperature for its maturation and drying. Joselito ham is considered the best ham in the world. Its main characteristic is its flavor, low in salt and slightly sweet. Buen servicio tanto en el trato telefonico. Entrega en el plazo acordado. Gran compra que hemos hecho de éste magnífico producto. Sabor y aroma impresionante, textura magnífica. Una compra 100% recomendada. We are working to improve our website. Online shop to buy iberian ham, iberico ham, serrano ham cheeses, dried meat, wines and gourmet products, since 1995, with over 20 years experience in the sector. How to preserve and serve a portion of Iberian ham. A temperature around 24º is ideal to taste a dish of a good Iberian ham 100% acorn. Copyright © 2018 - www.lacasadeljamon.com.es - Prices only for online orders - All rights reserved.